A photograph captures an instant. But we can represent time and the change it brings by repeat photography. Pictures taken decades, or even a century apart, show us how the world has changed and is changing. Nowhere is before-and-after photography as dramatic as in portraying climate change, urbanisation and the rapid transformation of a culture. The restored monastery in 2007, with upgraded lodges. Alton Byers is a mountain geographer, conservationist and climber specialising on the impact of climate change in high altitude areas. 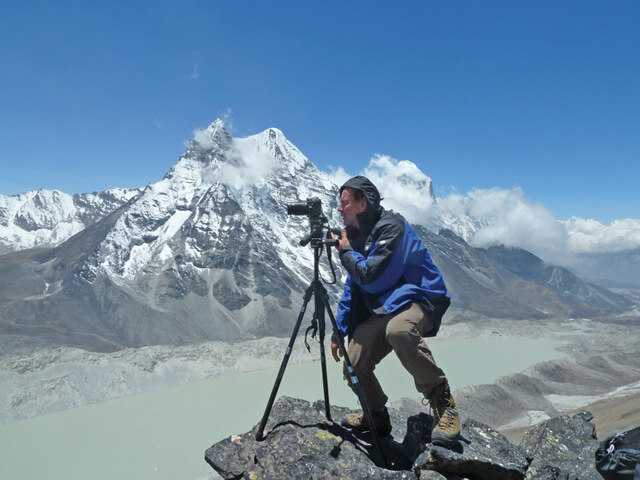 He did his PhD on the changes of vegetation in the Khumbu, and knows the area well, both the good and bad of how the region has been transformed by tourism, rising living standards and, lately, global warming. Byers has chosen repeat photography as the ideal medium through which to document change. 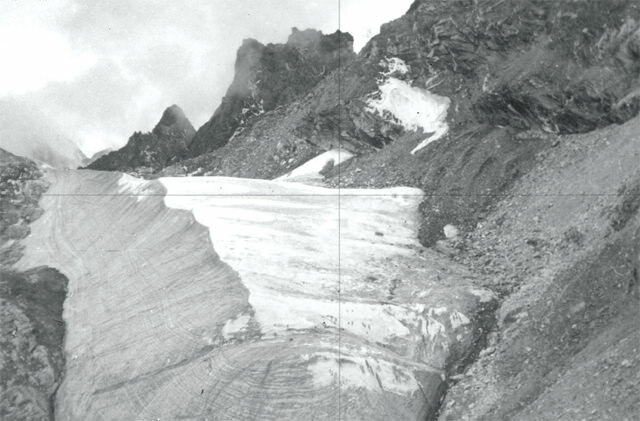 Imja in 1955 is a debris-covered glacier, which has seen its ice melt since the end of the Little Ice Age in the 19th century. 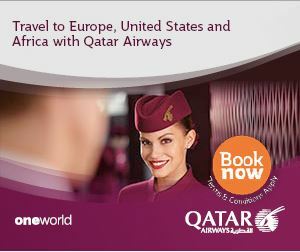 This process has been accelerated by post-industrial global warming. Imja in 2014 with global warming having melted the permanent ice in the basin to create a lake 2km long, 550m wide and 50m deep. It is calving at a rate of 52m/year. “It provides an effective educational tool that quickly and dramatically illustrates changes in glaciers, forest cover and cultural landscapes over time,” Byers says. 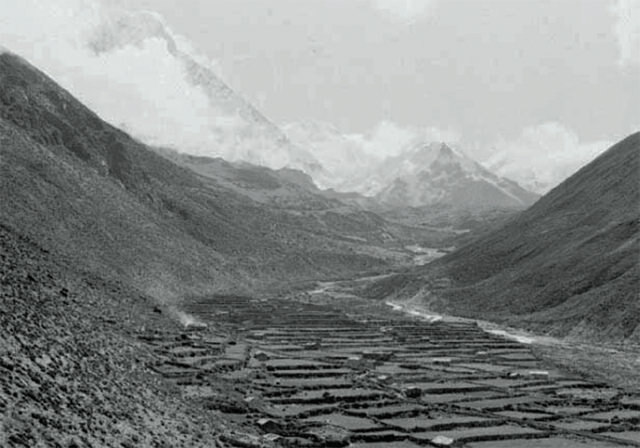 Indeed, his slim new volume Khumbu Since 1950 does just that: tell the visual story of how much the land of the Sherpa people has changed in the past 70 years. 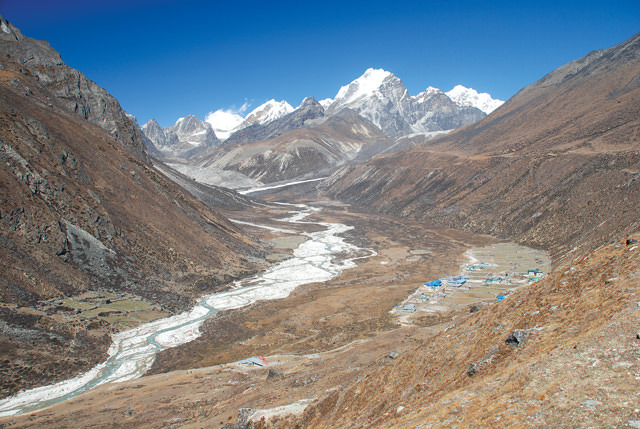 The region is better documented visually than other parts of Nepal because the first mountaineering expeditions to Mt Everest started arriving in the early 1950s. 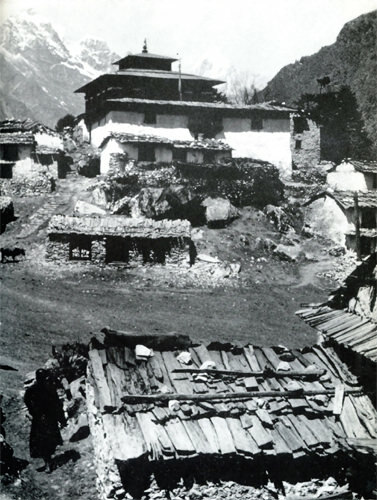 Dingboche in 1977, with Mt Lhotse looming on the horizon. 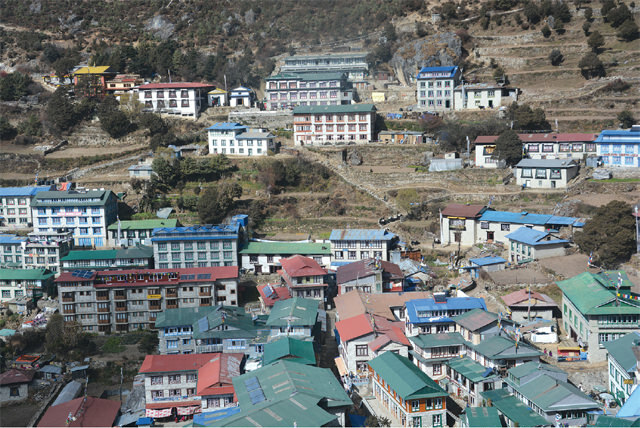 Dingboche in 2011 with new lodges, while many of the older slate-roof buildings remain. 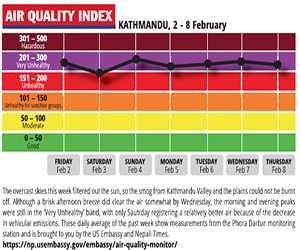 Global warming has been so rapid that even in that short span of time (in a planetary, geological terms) one can see shrinking glaciers, receding snow lines, scars of flashfloods, increased forest cover in some places, and how mountaineering income has raised living standards and led to the visible growth of Namche Bazar, Tengboche and other towns. Byers sourced old photographs from Charles Houston who was the first western climber to visit the southern approaches to Mt Everest in 1950. He collected images by John Hunt and Charles Evans both from the 1953 British Expedition, as well as the Austrian climber-cartographer Erwin Schneider’s glacial panoramas from 1955. 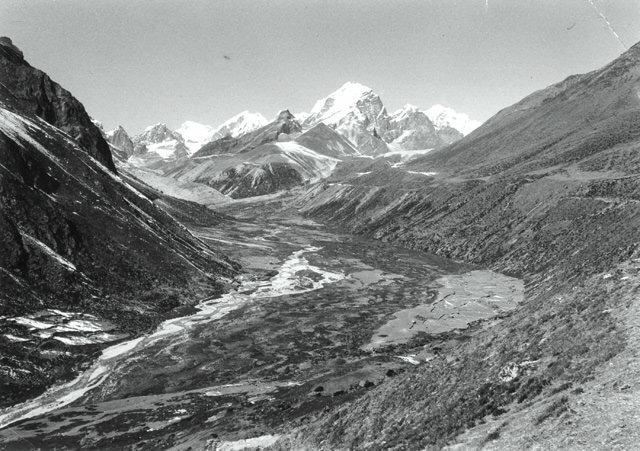 The Pokhalde Glacier on Kongma La in 1956. 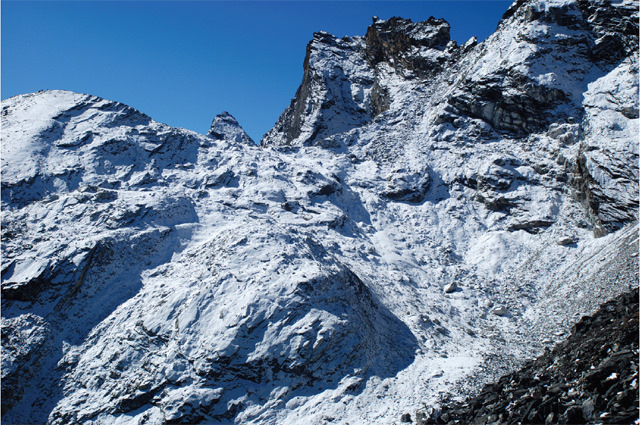 By 2007, the glacier had completely melted away. Interestingly, Schneider’s maps of the Everest region from that period show glaciers where today there are large lakes like Imja (Byers pictured left above the lake). There are also rare photographs of the Khumbu Glacier from Swiss-Canadian glaciologist Fritz Müller who was part of the Swiss Mt Everest Expedition in 1956. Byers himself first visited the region in 1973 and has his own archival photos from that visit. 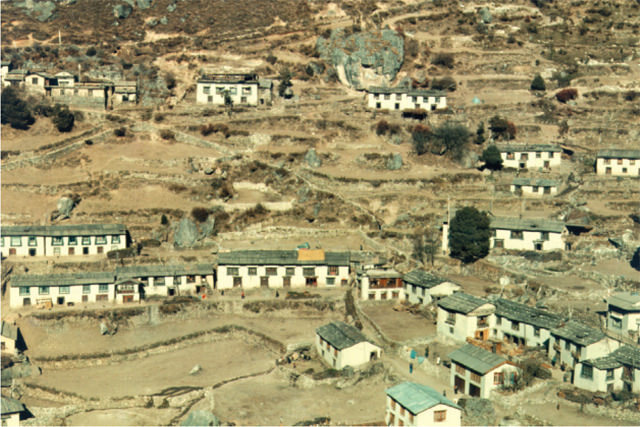 Namche Bazar in 1973. Most trekkers in those days stayed in people's homes and potato fields were used as camping sites. Namche Bazar amphitheatre in 2015. Repeat photography essentially means going to the same photopoint where the original picture was taken, in the same season, at the same time of day, in similar weather and shoot an ‘after’ picture of the same place. The findings are dramatic in more ways than one. The thinning of snow and ice cover was, as expected, the most visible change. 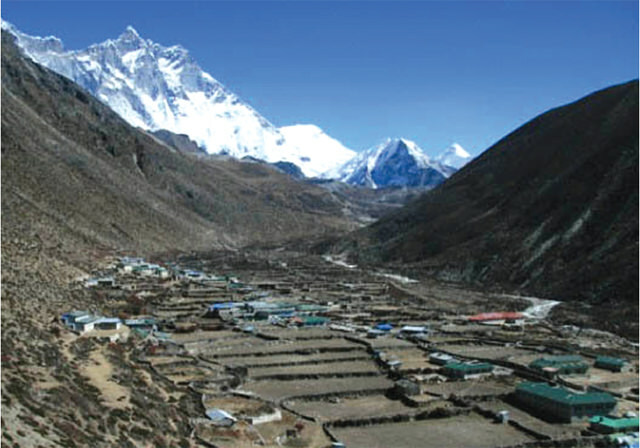 However, contrary to the scientific consensus of the time, it looks like the Khumbu did not suffer much denudation of vegetation, in fact the book shows some marked increase in forest cover after the Sagarmatha National Park was set up and as local conservation initiatives took effect. Byers is donating the book to schools and monasteries in the Khumbu region. He is also returning next year to train two Nepali and US graduates in repeat photography methods who can replicate other archival photos, and interview local people to find out about the changes. The book is being launched in January 2018 in Kathmandu, and the captions will be translated for a Nepali edition.